Steve Kenny is many things to many people, especially Twin Cities jazz fans. 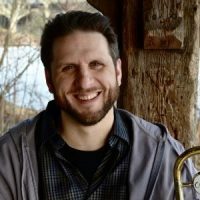 He is a fulltime computer tech specialist, a dad to two grown children, a professional jazz trumpeter, award-winning composer, and active bandleader. And beyond providing the Twin Cities area with more than 30 years of marvelous tunes and performances, Steve is our “jazz hero” as one of the region’s most active, and effective, jazz impresarios, curators, and producers. And his hero status has been recognized by the Jazz Journalists Association , which named Steve Kenny as Minnesota’s Jazz Hero for 2019. 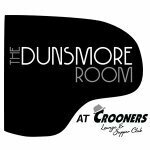 The award will be formally presented on May 4 at the Black Dog, in between sets during Steve’s Saturday Night Jazz at the Black Dog. Steve studied Music and Computer Science at the University of Wisconsin-River Falls where he recently completed a Master’s degree in Computer Science. In the 1980’s and early 1990’s, Steve’s performing was poised to gain national attention through the success of ‘The illicit Sextet’ and some other popular local Jazz ensembles when chemical dependency caused a nearly 15-year hiatus from the trumpet and public life. After becoming sober and involved in the recovery movement starting in 2007, Steve experienced the miracle of regaining artistic and professional relevance, now surpassing the achievements of his earlier productive period. In addition to The Illicit Sextet, Steve is a founding member of Group 47, What Would Monk Do?, and his own Quartets. 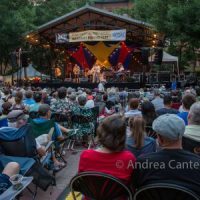 In late 2013, the Twin Cities jazz scene faced a significant crisis with the closing of the Artists Quarter, one of the few venues that presented jazz regularly in a setting designed for that purpose, and one of the last remaining venues that presented top-flight local and national artists and paid them accordingly. Within a year, Steve Kenny established a weekly series of (mostly) local jazz artists at the Black Dog, a smallish cafe venue in St Paul. Steve attracted the area’s best by guaranteeing fair compensation regardless of attendance and setting high curatorial standards. 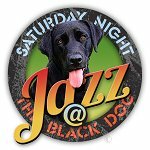 That series (“Saturday Night Jazz at the Black Dog”) has continued for over 250 consecutive Saturday nights, usually presenting two bands per night–a headliner set preceded by sets from youth ensembles, new ensembles, or veteran ensembles testing out new material. Bands are paid in advance and the series is supported through donations in lieu of typical “cover charges” or paying solely via tips. When there is a shortfall, Steve personally makes up the difference. As a result of his success with the Saturday Night Jazz series, Steve is credited as one of the driving forces behind the much heralded arts revitalization in Lowertown Saint Paul, where he recently joined the ranks of the other mural photo subjects for the “Inside Out” project, which includes pivotal artists and activists portrayed in large format on walls at 17 sites around the Lowertown neighborhood. One series was not enough. Shortly after “Saturday Night Jazz at the Black Dog,” Steve launched a similar Thursday night series at a cafe’ near downtown Minneapolis, which continued for two years until the cafe was sold. 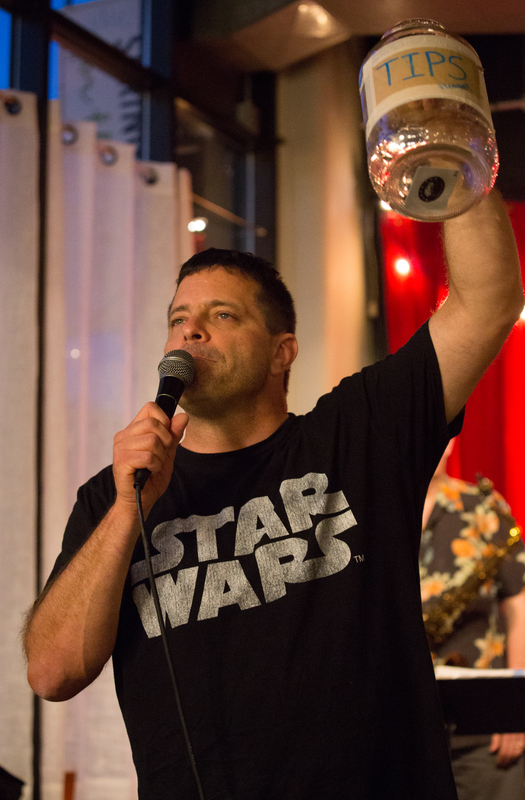 Within a few months, Steve had established another weekly (Friday night) series at an existing nonprofit jazz club in Minneapolis (Jazz Central Studios), again using the same funding formula –pay musicians fairly, guarantee funding, seek crowd donations, and make up the difference from personal funds. 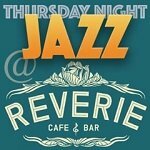 This series is now in its second year of consecutive weekly performances at Jazz Central Studios. In addition to these two weekly series, Steve has presented a summer jazz series in St Paul over the past 5 years, on Thursday nights at Studio Z, usually with funding support from state arts board grants (he has contributed personal funding as well as using a voluntary cover charge). Steve has also contributed significantly to the annual Twin Cities Jazz Festival as the curator of a three-night, five-set series of jazz performances at the Black Dog. All festival performances at all stages and clubs are free, but to offer the musicians better pay, Steve encourages audience donations at the Black Dog and otherwise provides the additional funds from personal resources. As of this year, he also serves on the Jazz Festival’s booking committee. Steve is also a member of the Board of Directors of the nonprofit Jazz Central Studios. Steve has also supported the growth of the Twin Cities jazz community as the creative force behind Illicit Productions, which produces well over one hundred live shows each year and has a growing catalog of Jazz CDs produced, released and distributed, recently including CDs by The illicit Sextet, the debut CD from Hoaxer (a quartet of college students performing original repertoire), a Vinyl LP by Steve Kenny’s Group 47, and a first-ever Twin Cities Jazz Sampler CD, including tracks from recordings from original-composition-focused Twin Cities Jazz ensembles; following two successful volumes, Illicit Productions will soon release volume 3. 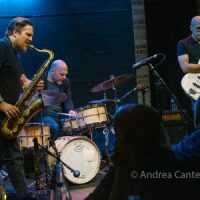 In 2019, Illicit Productions released Steve Kenny’s Quartets debut CD. Steve’s computer technology talents have also helped to keep alive the Twin Cities’ most visible jazz website. In 2014, he offered to save Jazz Police.com from extinction, by taking over web administrator duties from retiring Don Berryman. Steve continues to oversee the site (and its Facebook page), and handles all advertising. 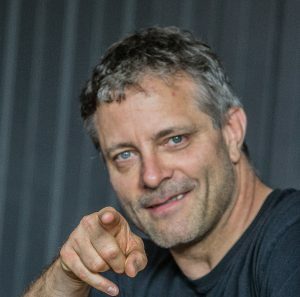 Steve Kenny, along with several other active musician/curators in the Twin Cities, has revitalized and expanded the area jazz scene, not only by providing extensive and predictable opportunities for musicians to play and fans to listen, but by encouraging high standards for performance. He typically schedules bands that have established credentials through years of performing and recording original music. 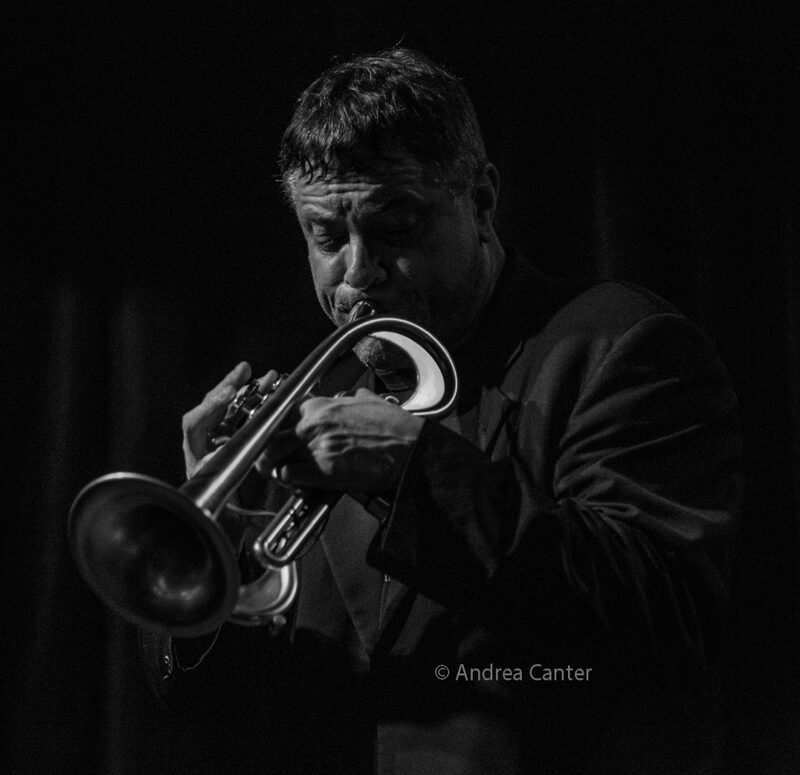 However, he also encourages the next generation of jazz performers by providing regular opportunities for high school and college level ensembles to perform on his series at the Black Dog, Jazz Central, and during the jazz festival. And while pursuing his own aggressive performing, promoting, composing, and daily woodshedding schedules, Steve serves many young area jazz musicians through mentoring and providing performance and recording opportunities. 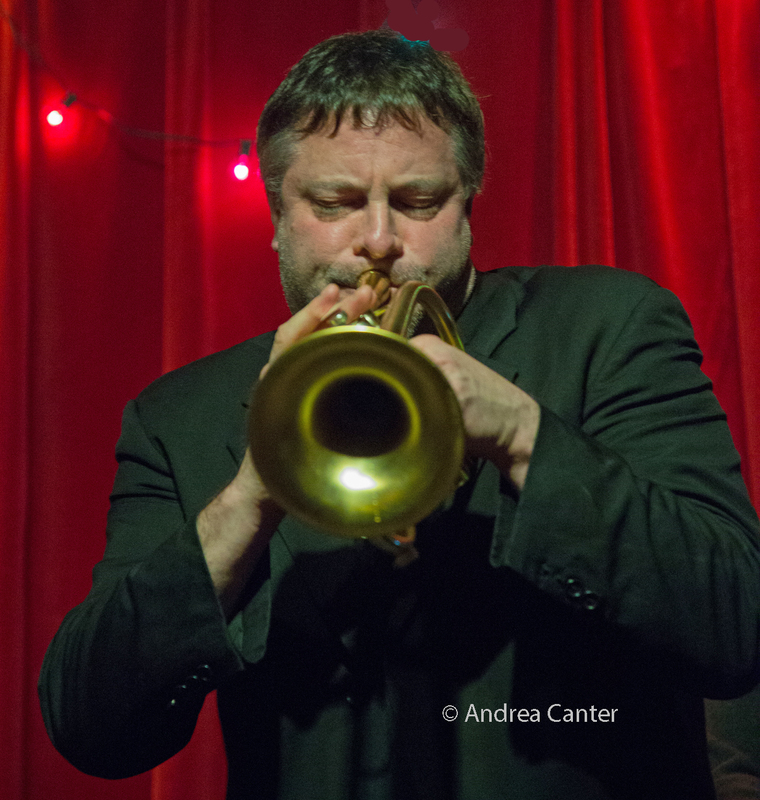 How Steve Kenny has managed to hold down a busy day job, complete a graduate degree, perform with numerous jazz bands while also leading a few of his own, run a production company and website, and still curate two ongoing and two summer jazz series baffles our jazz community. But there would be a lot less live (and high quality) jazz in the Twin Cities without him.